' 11 DIY [BOY] Onesies - Sisters, What! Ok here is my last post on DIY onsies, I promise (at least for a while : ). 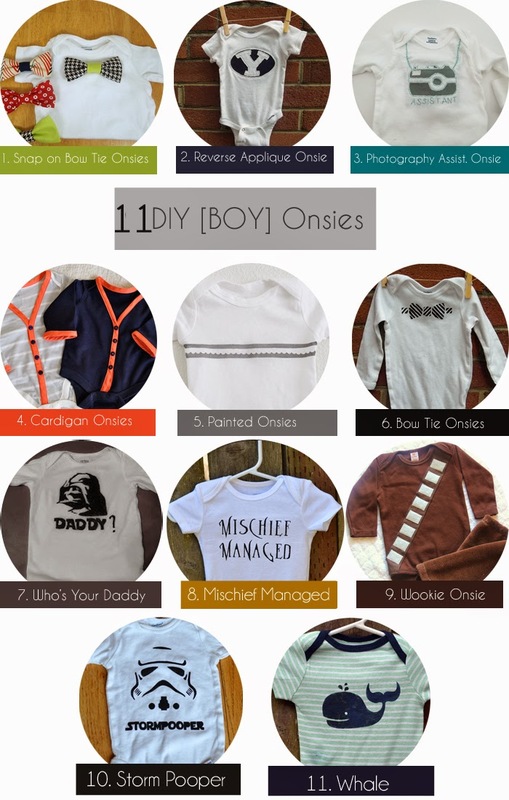 Here is a round up of DIY Boy Onsies that I've made and some that I would love to make in the future. There are so many cute boy options out there and I just wanted show some of them here. Find the links below the images.